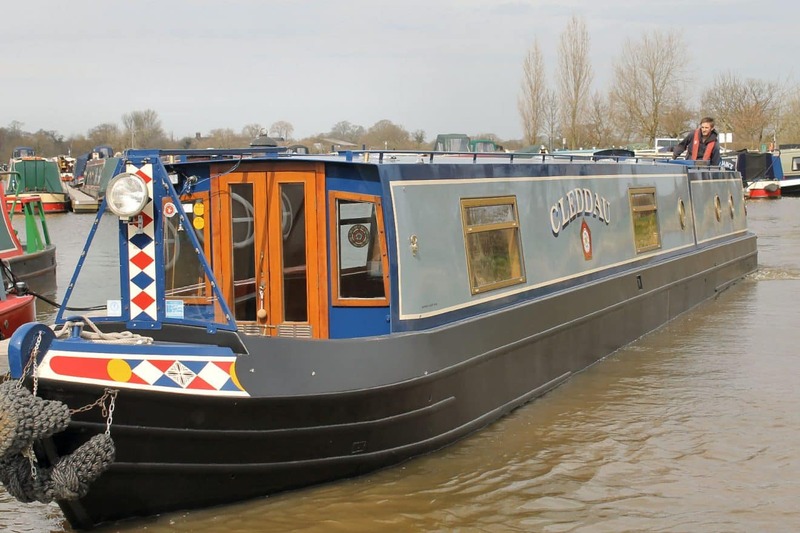 It was Thursday morning when Cleddau cruised westwards away from Middlewich. This canal length (Wardle Lock at the eastern end, Barbridge Junction at the west), is about 10 miles in total, with four locks. It connects the Trent and Mersey Canal at Middlewich with the Shropshire Union Canal, which runs between Wolverhampton and Ellesmere Port, north of Chester. On a still and sunny morning cheery dog walkers waved from the towpath and several hire boats returning to their base in Middlewich chugged past. The sole lock of the day (and final lock of the trip – and the year) was reached. This was Stanthorne Lock. Into the last lock Cleddau went. Two ladies above (from a crew of three school friends out on a girls’ only jaunt) were eager to work the paddles and the boat slowly rose. Onwards: at a bridge hole there was a squeeze past an approaching boat. Onwards again, farmland to the left, glimpses on the right down onto the Winsford flashes. Contrails across a blue sky were a reminder that this is Manchester Airport country. How much faster those airborne vessels than the little narrow boats creeping along down below! Two months ago Cleddau had moored at a site overlooking the pretty village of Church Minshull..
and over across to a landscape lump. and crossing an aqueduct, high above the River Weaver. Too soon, it seemed, Cleddau had arrived outside Aqueduct Marina. Least said about the next few hours – spent in an excruciating drive across Cheshire and back to reorganise wheeled transport. Who would have thought that the north west’s greatest traffic delays seem to be in and around Middlewich… Only a close-up photo opportunity as the road went past Jodrell Bank alleviated some of the agony. Steam cleaning, grit blasting and repainting awaits: faded Cleddau arrived as autumn hues were beginning to fade. Hopefully spring will bring bright and beautiful transformations to both boat and landscape. Will Cleddau emerge from her winter hibernation something like this…?